Easters on it's way and whilst it's a great time of the year to celebrate with children, it's also nice as an adult to really get into the swing of things. Why should the kids have all the fun and when we found out about the Chocolate Batida Cocktail from Las Iguanas well felt it needed introducing. Featuring their Magnifica Cacaca (Brazilian Sugar Cane Spirit) with chocolate liqueur and condensed milk with a topping of every adults favourite Easter indulgence- Mini Eggs. Add the ingredients together in a glass filled with ice before sprinkling chocolate power and crushed min egg pieces on top for the ultimate adults Easter indulgence. The Las Iguanas monthly Cocktail 'Hot List' launched on March 21st with a great selection of 2-4-1 cocktails during happy hour.. The list changes every month so we''re sure you'll find something you like. 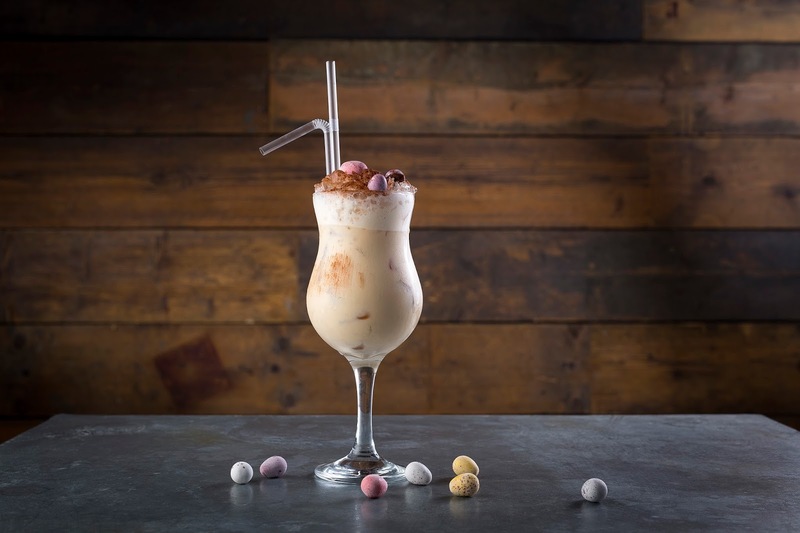 The Chocolate Batida retails at £9.75 and is part of the Hot List so you can enjoy two during happy hour or make them yourself with the Easter chocolate cocktail recipe above.